Let’s cut to the chase… Losing weight is hard. But overcoming the specific challenges thrown in by the menopause makes it seem almost impossible. When that dreaded ‘M’ word knocks on your door, lets itself in, then sets up camp in your favourite chair, there’s a shift in the body’s hormone production. These hormonal changes are directly responsible for weight gain and a shift from stored fat in the hips and thighs (stored there for childbearing reasons) to storing fat more in your belly. As a double kick in the crotch, this increased belly fat also now increases your risk of heart disease. 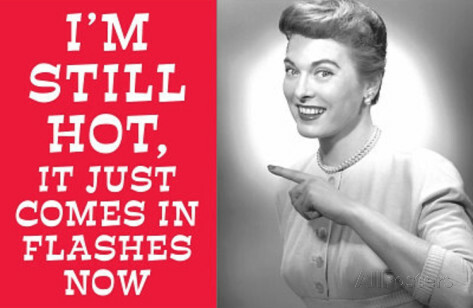 On top of having to fight these hormonal changes, menopause also hits around the same time your metabolism slows down. It happens to all of us as we get older, the amount of food we put in our face at 30 or 40 is now packing too many calories for 50 to 60 year old us. If your diet and eating habits aren’t adjusted, then you will find that you are gaining weight quickly and that weight is harder to evict. The hormone therapy often used to treat menopausal women can also cause weight gain and water weight gain due to bloating and water retention. Ever stood on the scales to find you weigh 5 pounds more than the day before? Yeah, that’s that lovely water weight! Fortunately, this particular weight gain is only temporary and is more easily controlled than fat weight gain. It may seem all doom and gloom, but it’s not time to hang up your hat yet. I’ve personally taught hundreds of women how to punch the ‘M’ word in the face, and get rocking abs, hot hips, and fabulous thighs well into their 50s, 60s, and beyond.